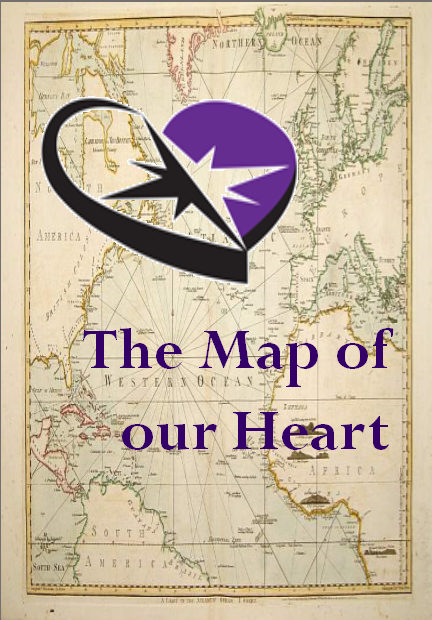 The Map of Our Heart has a double logo. chapter one, which gives us direction. — The antique map charts foundational journeys of the Brothers. Brothers of the Sacred Heart | Web Design by Dan Zwerg.